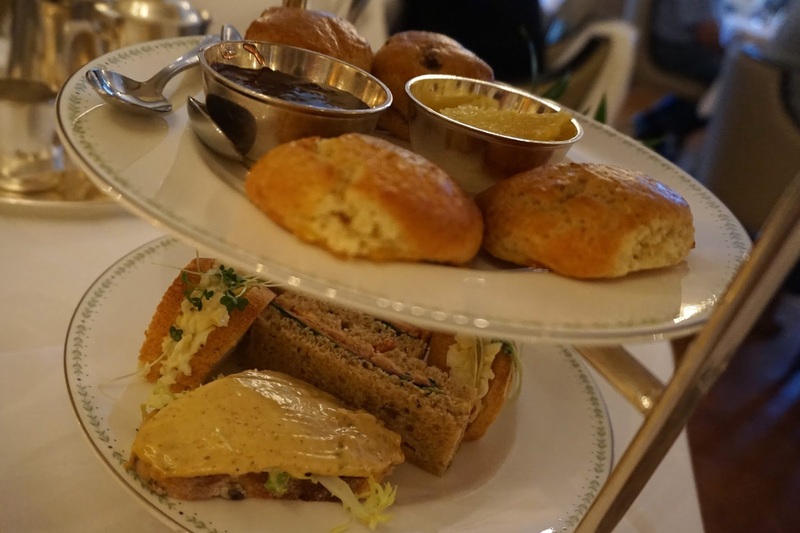 A couple of weeks ago I received the most exciting e-mail about going to Betty’s to try out the Lady Betty Afternoon Tea and I jumped at the chance. 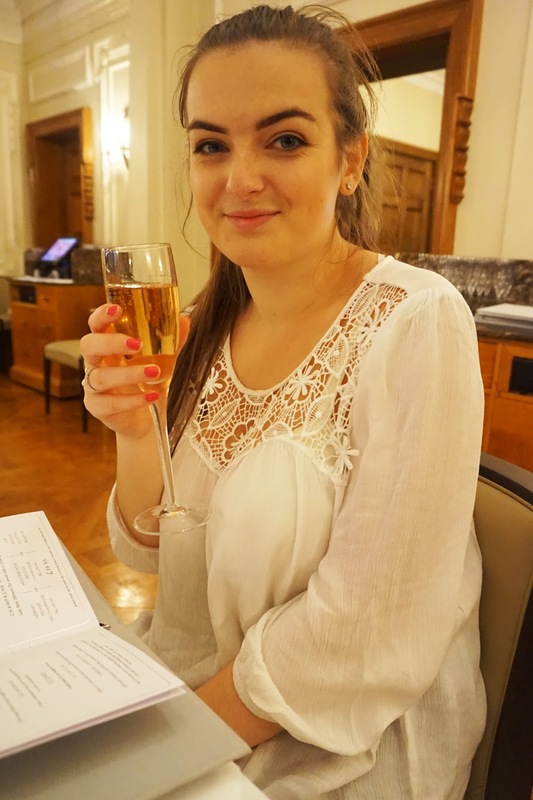 I was actually looking at going for 21st in August but plans fell through so It was a lovely surprise to be invited and I was very excited about it. If you’re unaware of Betty’s, there are six tea room’s across Yorkshire and it’s an extremely popular and well- renowned establishment. It’s very rare to pass Betty’s and not see a large que of people waiting to go in. 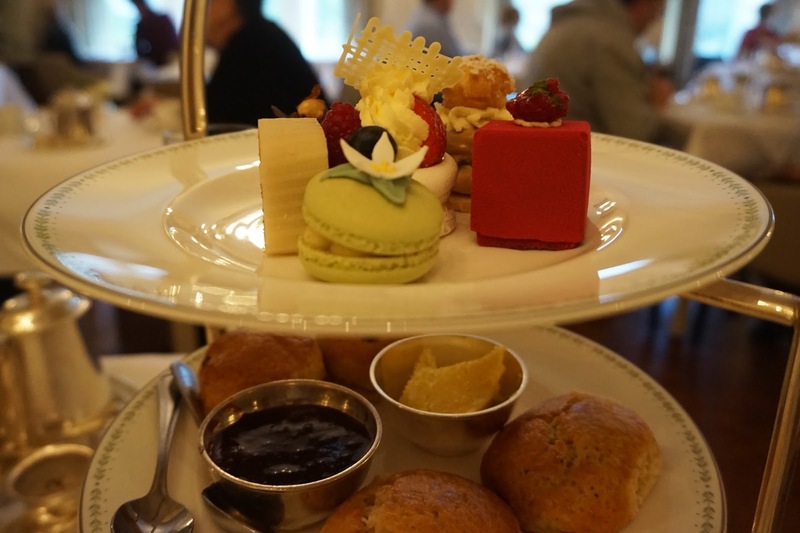 My Mum and I went along to the Harrogate branch to try out the Lady Betty Afternoon Tea, but beforehand we did a spot of shopping. 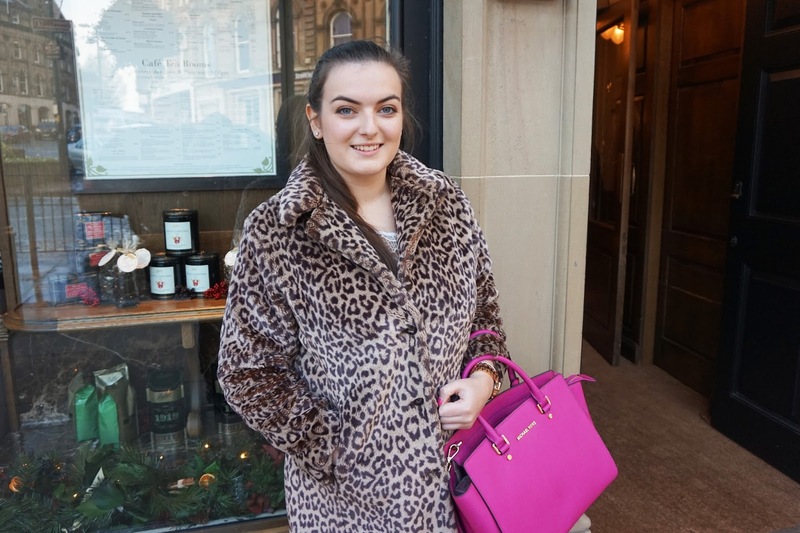 I don’t think I’ve been to Harrogate since I was really little so It was lovely exploring the town centre which was lovely and there was even a Space:NK! We were booked into Betty’s for 1.30pm and on arrival it wasn’t a surprise to see a long winding que around the building. 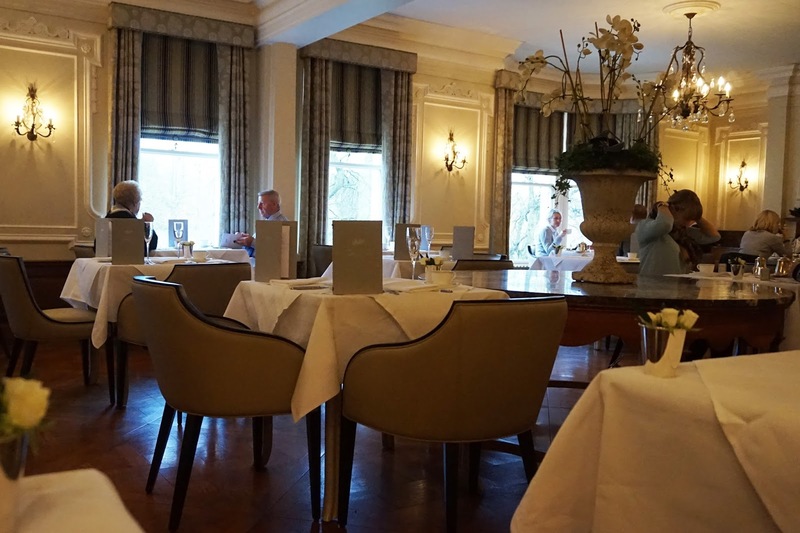 As we were booked in for Afternoon Tea we could skip the que and on upstairs to the Imperial Room where we were greeted and shown to our seats. The Imperial Room was absolutely lovely with background music from a pianist. 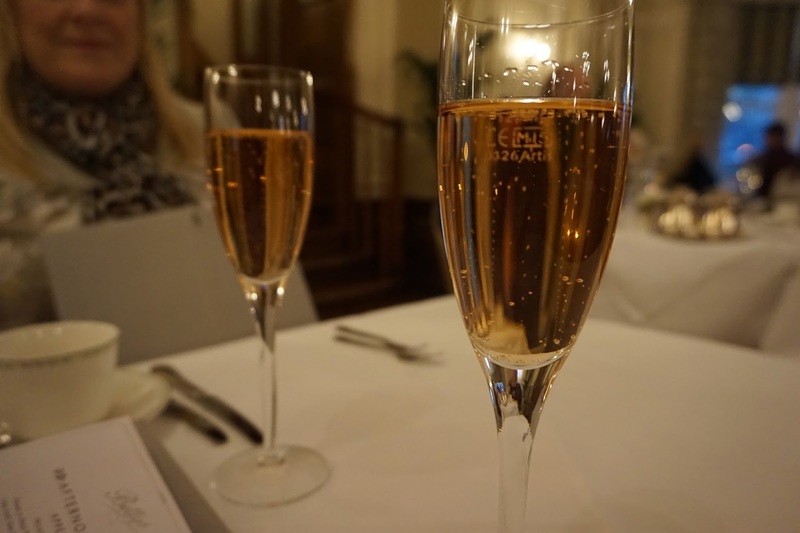 To kick things off, we both had a glass of Moutard Rosé Prestige Champagne and my Mum ordered the Betty’s Afternoon Tea blend and I got a fresh orange juice. I’m just going to be put it out there that I’m probably the only person in England that doesn’t drink Tea, Shocking, I know! For the first course, you get a Prawn Cocktail but we actually opted for the Vegetarian option to try something different. 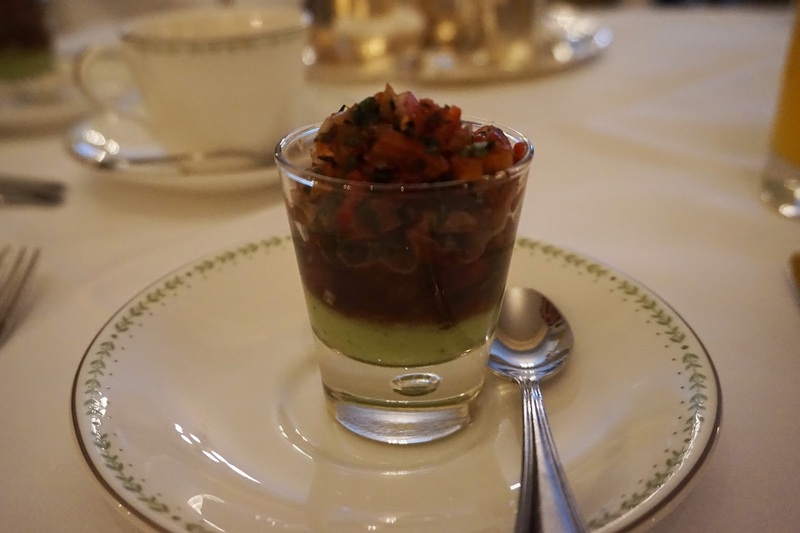 I’m not 100% sure what it was but I believe it was mixed chopped vegetable on top of an avocado puree in a little shot glass. It was a lovely alternative and I loved the avocado puree. 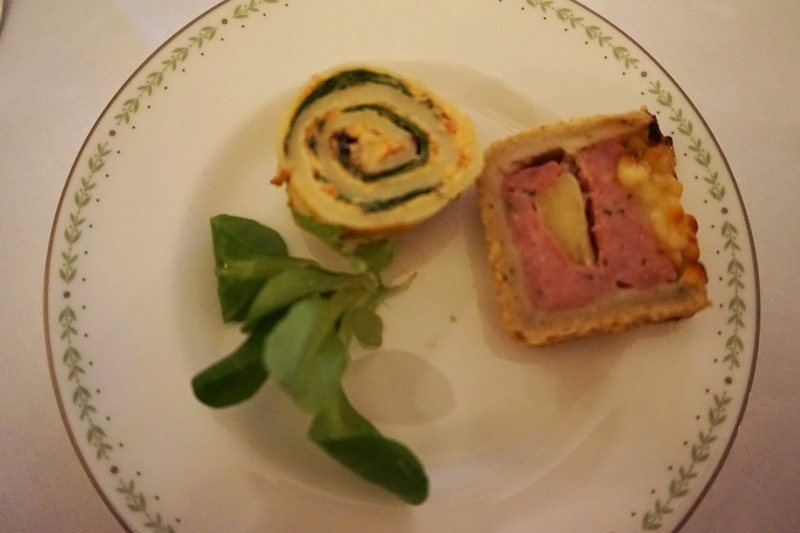 We certainly didn’t expect another dish before the sandwiches but to our surprise a pork pie slice with Bramley apple arrived, along with a cream cheese roulade with served on a wholemeal crouton. I don’t think, I’ve ever had a pork pie but this was an amazing first for me. The Bramley apple cooked into the pie mixed in perfectly. Whilst eating our savoury selection, our waiter brought over the stand filled with sandwich’s, scones and the most delicious looking cakes and desserts. Each sandwich and dessert were explained to us in full which was really helpful and I was personally impressed they knew every detail of each item. There were three different types of sandwiches; Ham and Tomato, Coronation Chicken and Egg Mayonaise. There was enough for us both to try each sandwich and our favourite was the Coronation Chicken which was served on a pumpkin seed bread. I’m more of a cake sort of girl so I was very excited to get stuck into the scones and desserts. 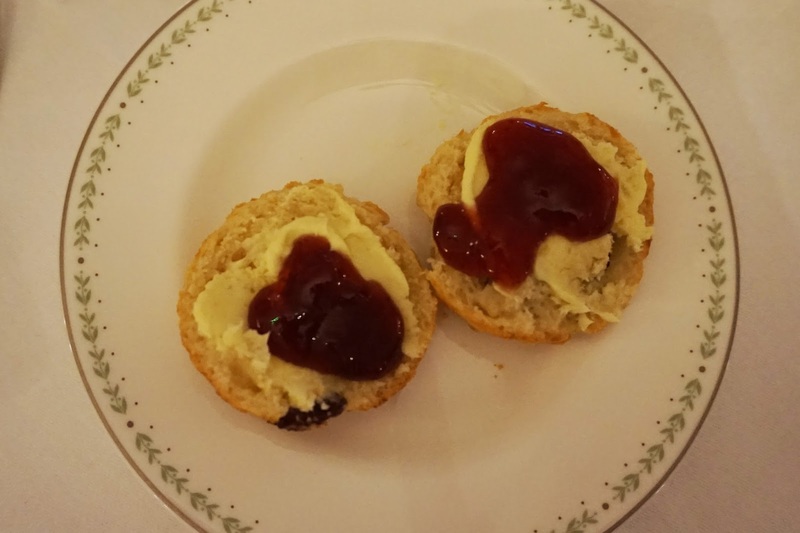 Not only was there the traditional fruit scone but there were Lavender infused scones too! They both tasted incredible as we slathered the cream and jam on and they were demolished very quickly before moving to the top of the stand. There were six desserts between the two of us and they all looked incredible. I chose the Grand Cru Chocolate and Raspberry Square, Chocolate and Praline Slice & the Fresh Berry Meringue. The Chocolate and Raspberry Square was out of this world, presented incredibly in what seemed like a little neat parcel with a lovely chocolate mousse treat inside. My Mum had the Minature Battenburg (which I was very jealous of), Apple Caramel Macaroon and the Coffee Religieuse. 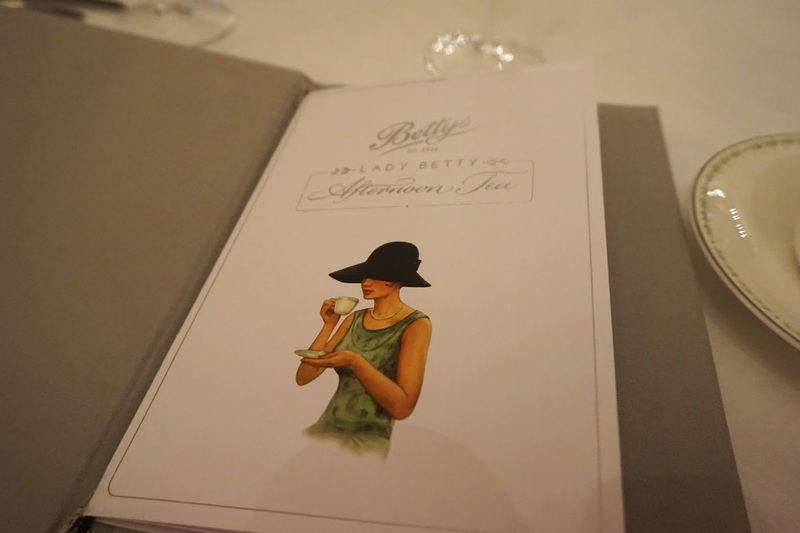 Our experience at Betty’s was wonderful and the service from everyone was above and beyond. On our departure, we were given a little tin of Betty’s tea which was a lovely gesture. 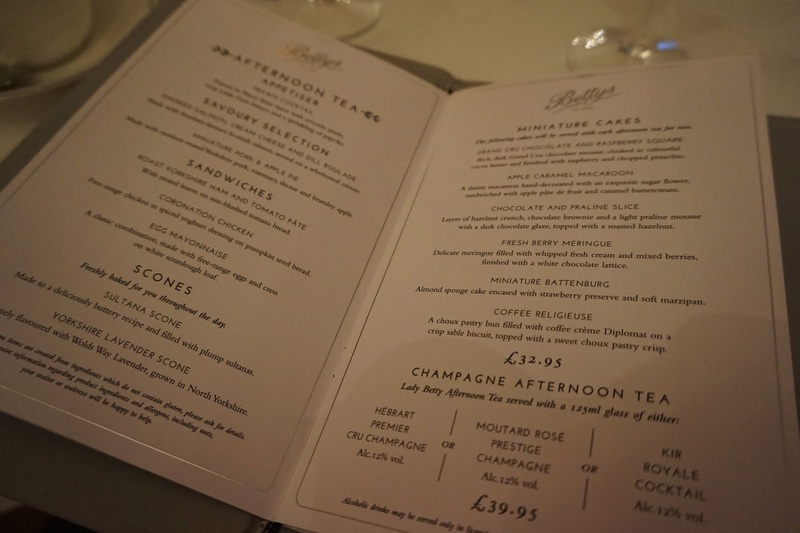 If you’re interested in booking an Afternoon Tea at Betty’s you can find more information here – The Lady Betty Afternoon tea is £32.95 and £39.95 with a glass of champagne. 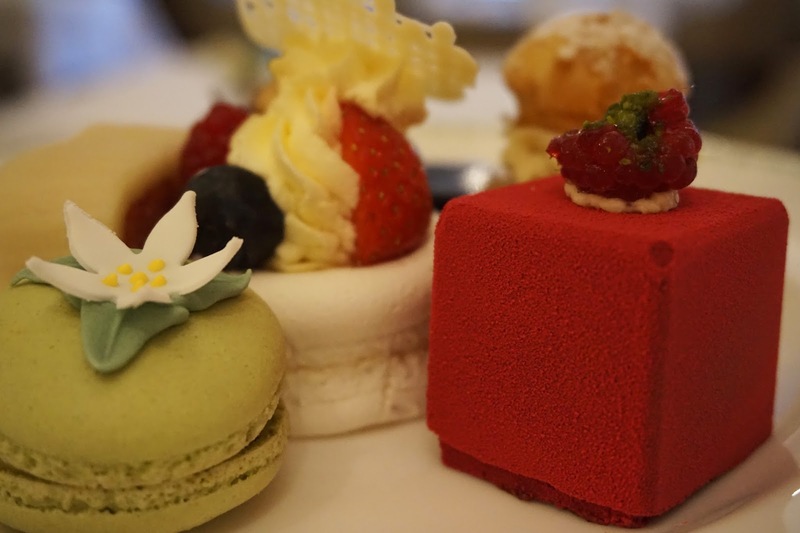 *I’d like to thank Betty’s for inviting me to try their Lady Betty Afternoon Tea and although I can easily be bribed with delicious cakes, all thoughts are my own. Sounds like you had a lovely time! The desserts look delicious! Ah wishing I had this in front of me right now! I've heard so much about Betty's – I'm really eager to go myself. The food all looks and sounds delicious. 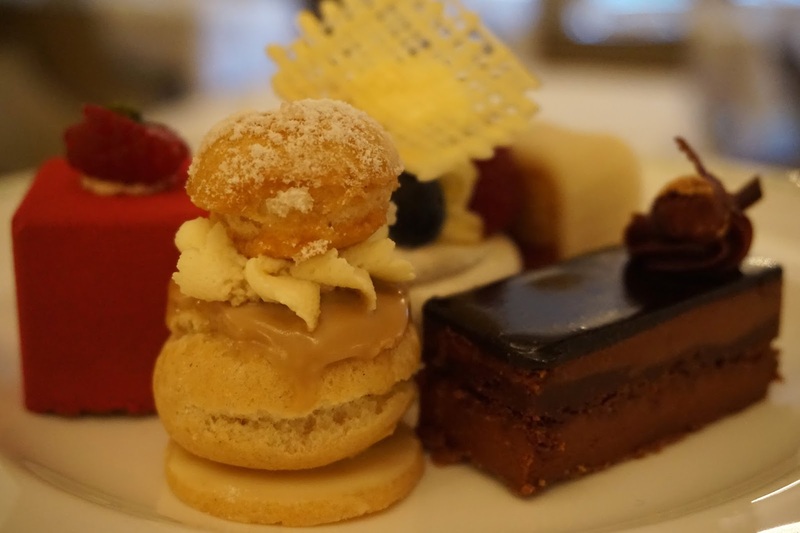 I'm not a massive dessert person but with afternoon teas I love that you get to try a few different things. Lovely photos. 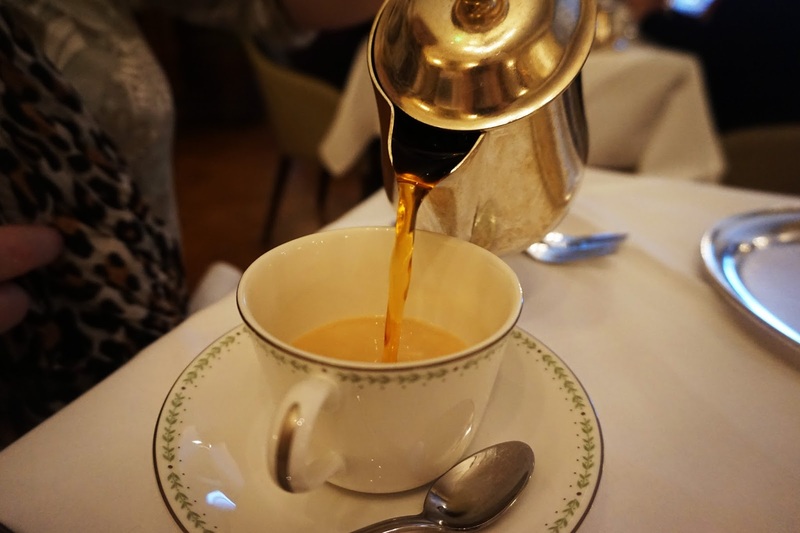 It is the classic place to have a cream tea, and it looks simply wonderful.